Should You Trade With Robbie? Trade With Robbie is a new binary options service by Robbie Issa. The service provides traders with webinars, meta-trader indicators, a copy trader as well as signals for both binary options and Forex trading. The main part of the service that he promotes is the signals. Today we will be analyzing this service and letting the Binary Today readers understand whether or not this is a worthwhile investment opportunity. According to the sales page the Trade With Robbie signals will earn traders anywhere between 1-20% growth. This is a very large gap. In looking at most of the material provided it does seem as though Robbie is more of a Forex trader than a binary options trader. I say this because in the video on his website he claims that traders can expect to earn a solid passive income from binary options with a 50% win ratio. Even new binary options traders know that you cannot ever grow when account with a 50% winning percentage. Obviously I don’t want to totally attack Robbie over one statement but it’s certainly not statement that instills me with any confidence. Another aspect of the Trade With Robbie sales pitch that is throwing me off is the binary options broker that he has partnered with. Robbie’s selected Binary Mate, so in order to gain access to his services you are required to deposit with this brokerage. The issue I have with that is the fact that I’ve never even heard of this binary options broker. As you probably know, I spend a lot of time in the binary options market reviewing services and brokers so it’s a real surprise when a product developer pushes an unknown brokerage. In this particular case, Binary Mate is not regulated. The brokerage doesn’t even provide a contact address which is a major red flag. This is important because if Robbie Issa is making bad decisions about the brokers he’s recommending to traders that it’s hard to respect his judgment when it comes to trading. As for results, Trade With Robbie provides us with a one month old my FX book account but these trades would not be used in binary options. These are all Forex trades because the duration of each trade does not correspond with the specific expiry time. It’s my belief that the Trade With Robbie service isn’t ready for prime time. I won’t be recommending Robbie Issa’s project to you today. Maybe in the future we can revisit this page but there are a couple of red flags that are holding me back. As always, do your research and make sure that you get involved with the right services and the right people. 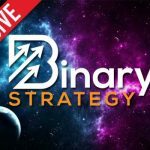 Thanks for stopping by and please feel free to leave a comment or check out the highest rated binary options trading systems available on Binary Today. 6 Responses to Should You Trade With Robbie? I almost got scammed by this Robbie Issa fraudster. Hello you have an unfair review of my services on your website, I would like that you take a second look into what my company is doing and how many people I am actually helping every single day, it is unfair to me to have such a bad review when I’m in fact actually one of the only honest and successful traders/EA creators with real results helping people , please join my public Facebook group and see for yourself what all my customers comment and say about me and my services thanks you ! Hi Robbie, the review isn’t that negative. We just question your trading results, and other elements of your presentation. You are welcome to read the review and address the questions that we have with verified proof. Sorry to hear that Pablo. this man Issa is a full scale liar and criminal of the highest order. He must be tried in the high court of London and either hanged till dead or be jailed for life with hard labour and all his assets liquidated. Every word out of his devilish mouth is from hell. He does the work of the devil himself. He is a useless trader, and lives bu stealing others money. All this nonsense about copy trader is garbage. He is a con and a thief!